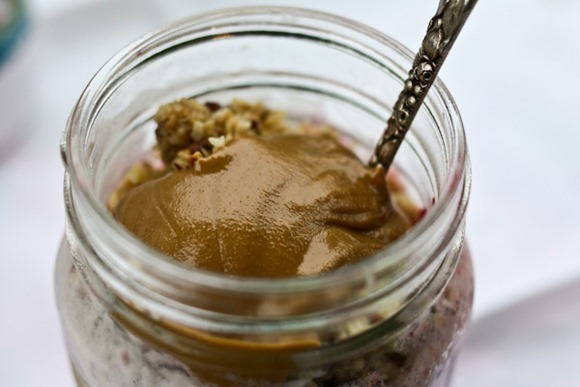 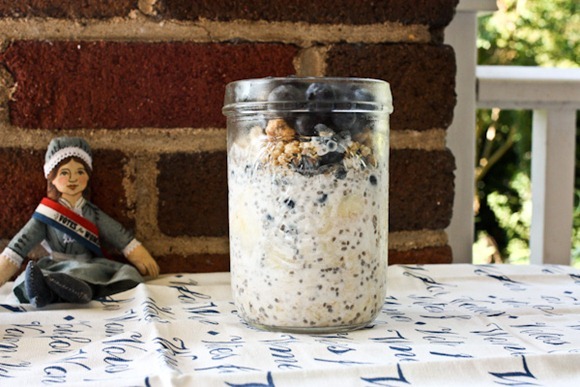 Overnight oats are just oats soaked overnight that absorb the liquid you put them in – any kind of liquid you like! 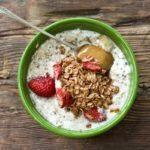 The most common mixture is equal parts raw rolled oats, milk and yogurt (I like 1/3 or 1/2 cup of each). 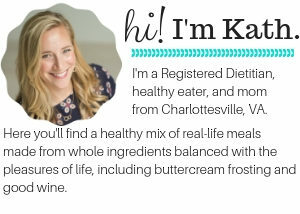 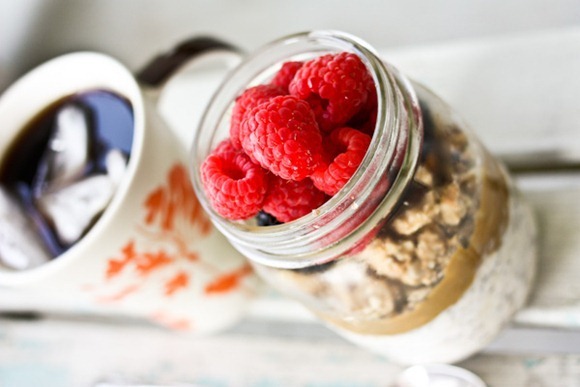 You can use any kind of yogurt or milk. 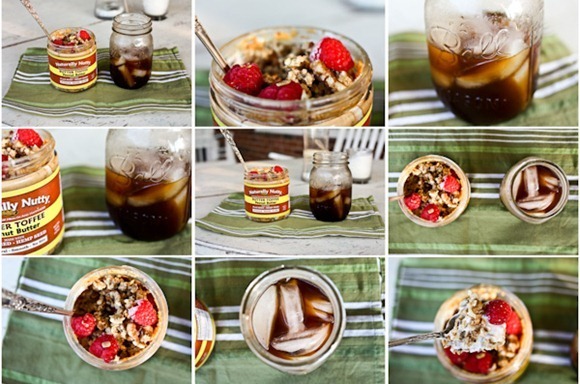 Put in the fridge overnight (uncovered or covered, your choice) and let ’em soak up the liquids. 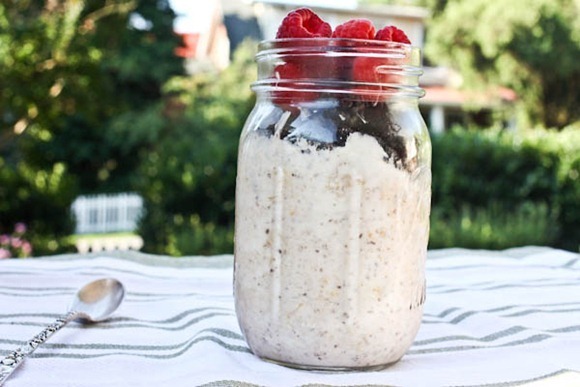 Overnight oats are just oats soaked overnight that absorb the liquid you put them in - any kind of liquid you like! 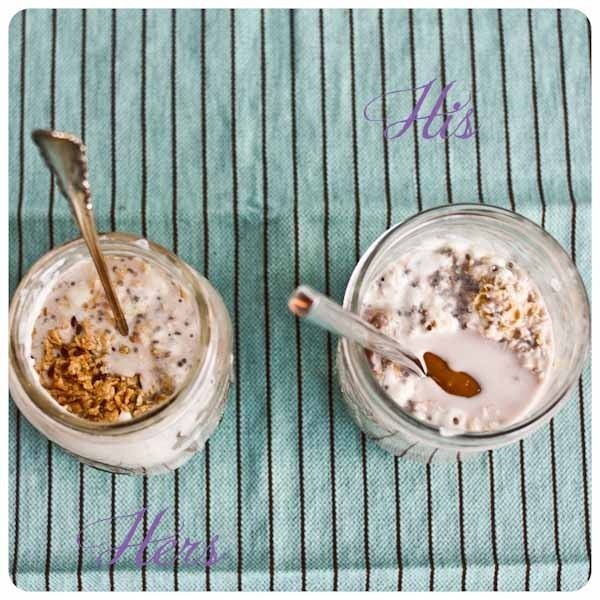 The most common mixture is equal parts raw rolled oats, milk and yogurt (I like 1/3 or 1/2 cup of each). 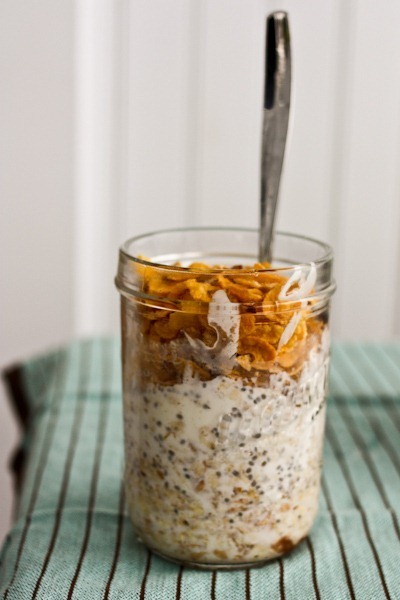 You can use any kind of yogurt or milk. 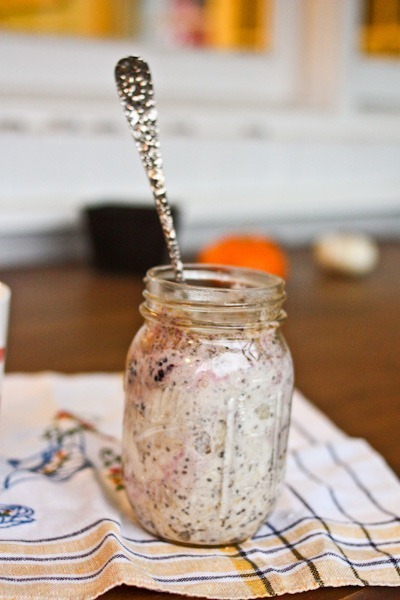 Put in the fridge overnight (uncovered or covered, your choice) and let 'em soak up the liquids. 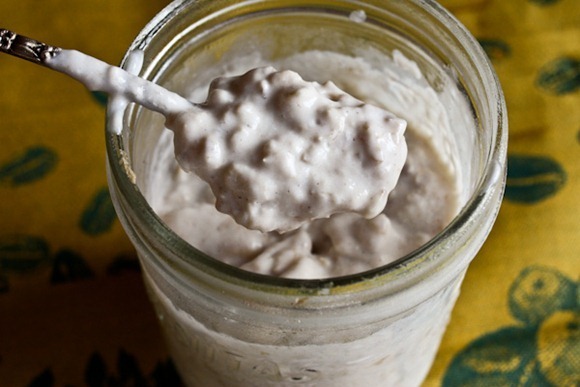 1/3 cup plain Greek yogurt You can use regular non-Greek yogurt too! 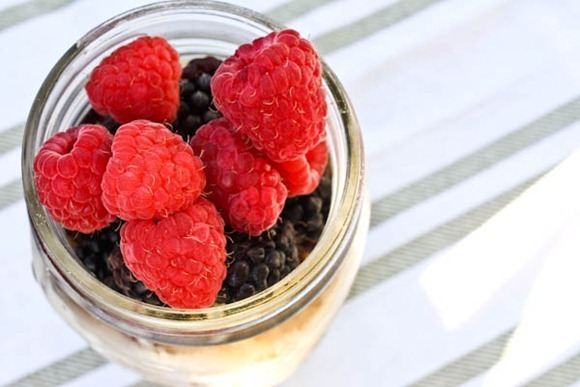 1/3 cup fresh or frozen fruit Berries, banana, chopped apple! 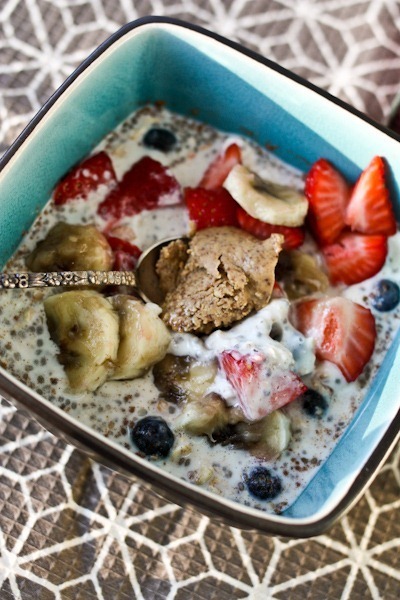 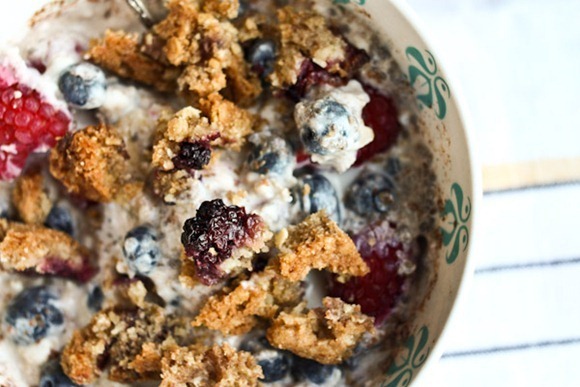 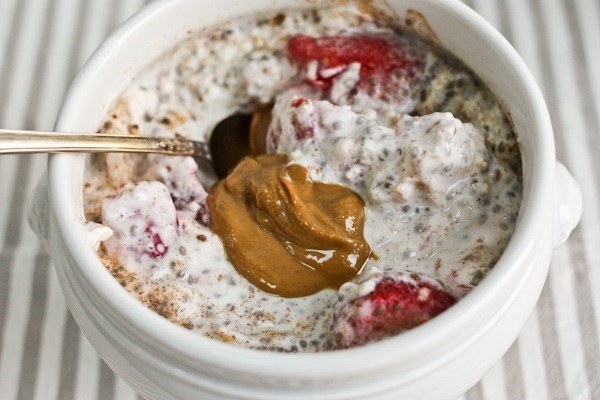 1 tbsp chia seeds Optional, but they will help it thicken up! 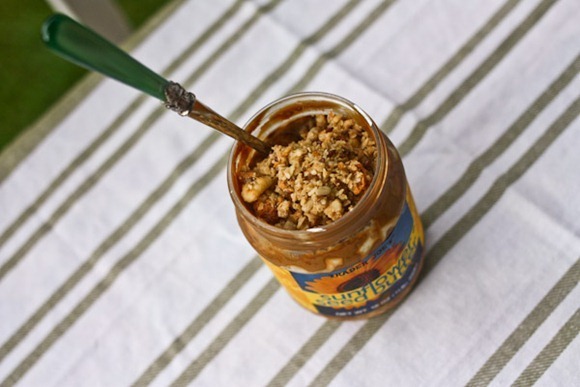 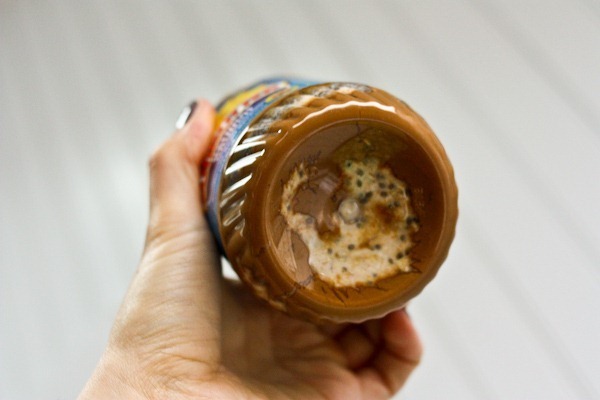 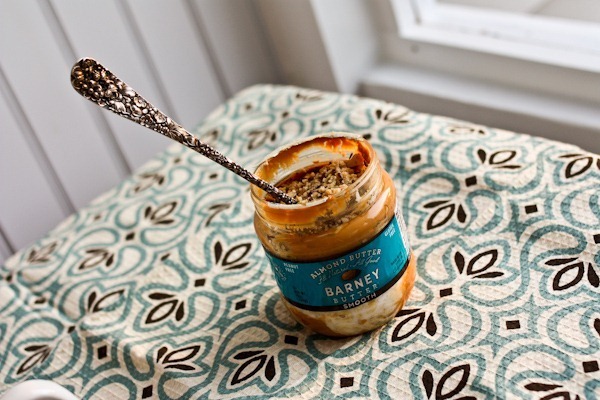 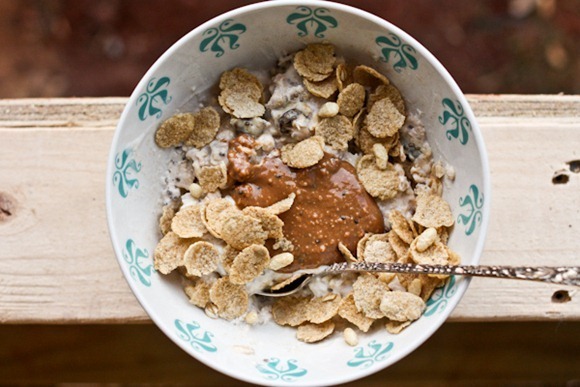 In the morning top with something crunchy and something with healthy fats - like nut butter or nuts. 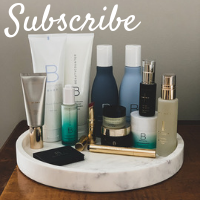 Here’s an audio version that was made for me! 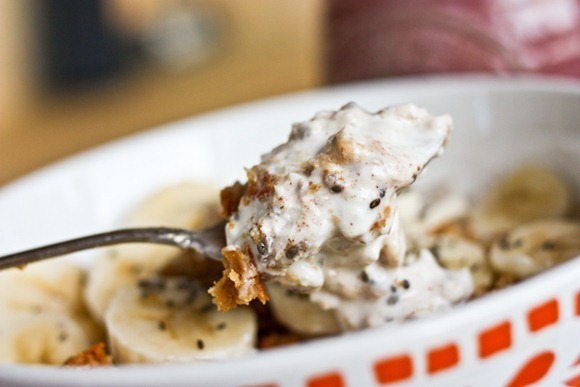 This recipe was recorded by the team at Coupofy. 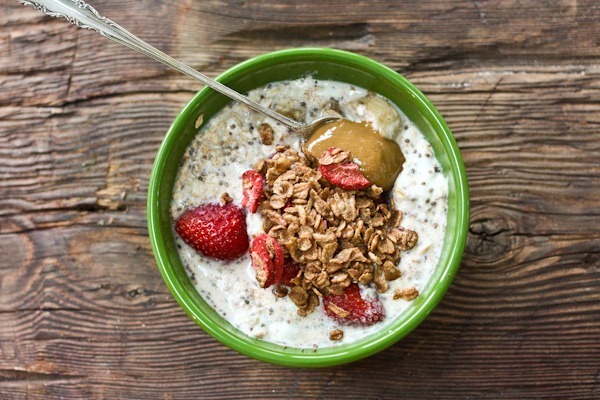 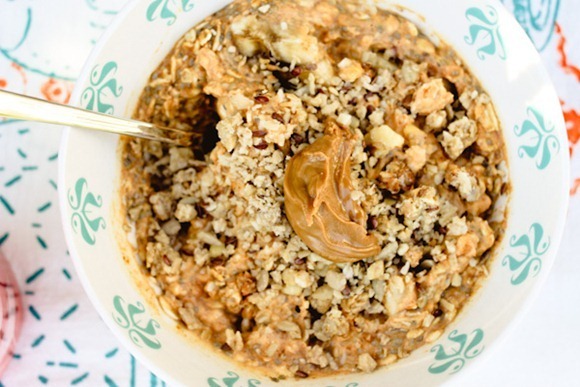 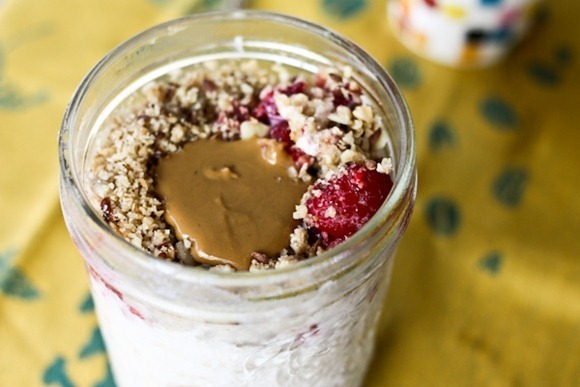 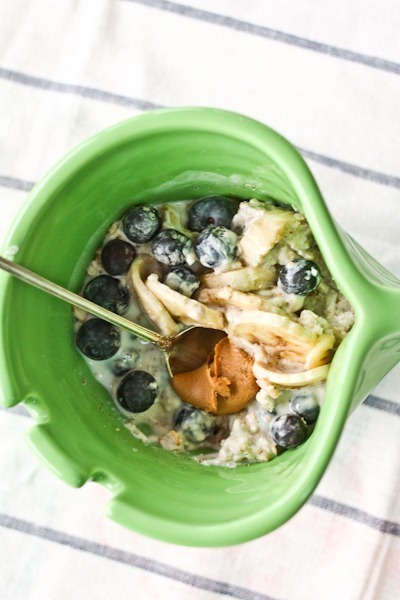 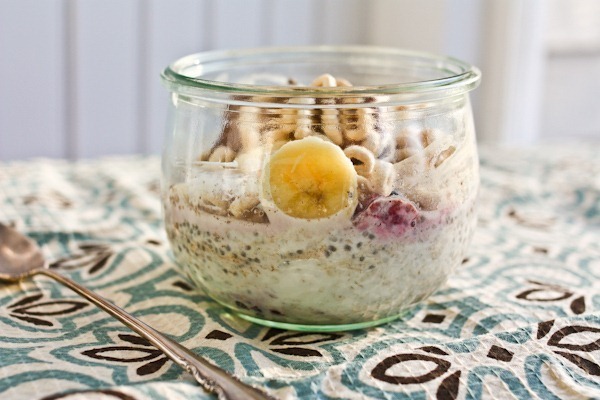 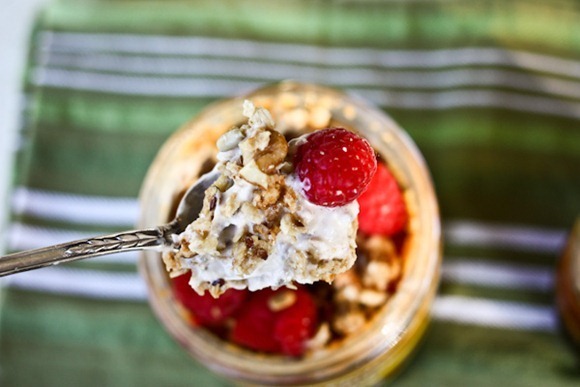 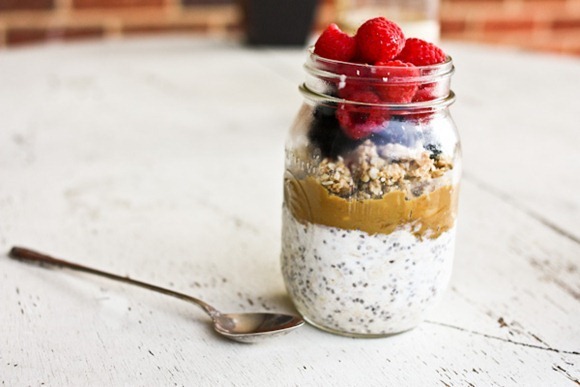 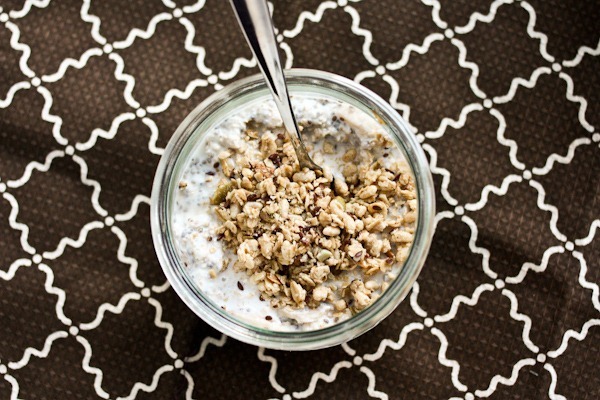 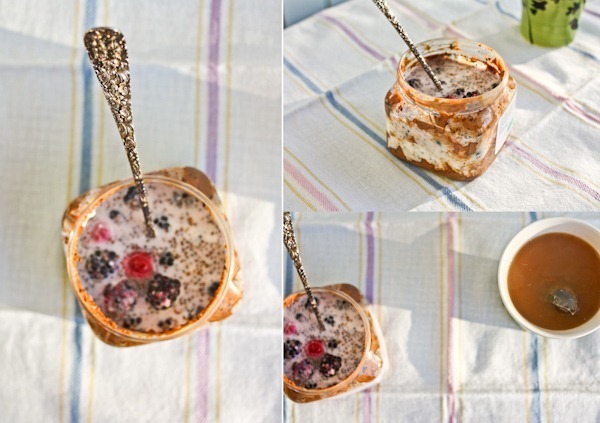 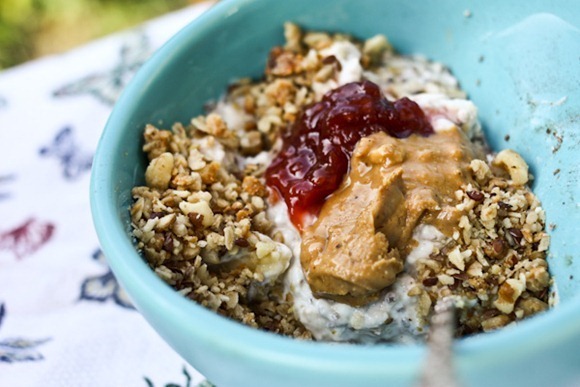 See every overnight oats breakfast here!